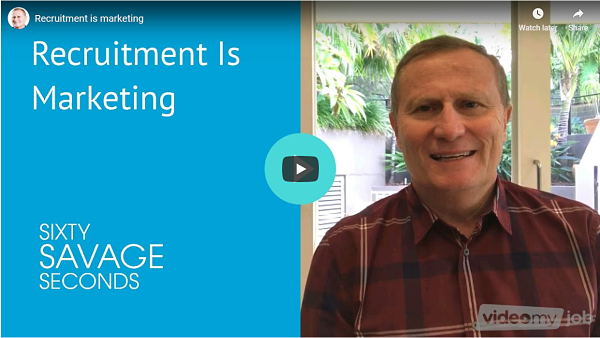 Here's the next "Sixty Savage Seconds" from The Savage Truth A one minute video of the best ideas, tips and tactics for recruiters... sixty seconds to make you think. This Sixty Savage Seconds is titled 'Recruitment is Marketing'. Let me know what you think!